Zhaobao Taiji Staff consists of 65 movements, which is performed with arc techniques. Movements such as chop, sweep, cut, and defend are moving in various hollow circles, interleaving with each other, rotating clockwise and anti-clockwise, forward and backward, coherently without a break, and with combintation of hardness and gentleness. While Zhaobao Taiji Sanshou (Free Sparring) has 67 movements with 128 techniques. It has distinct attacking and defensive movements. 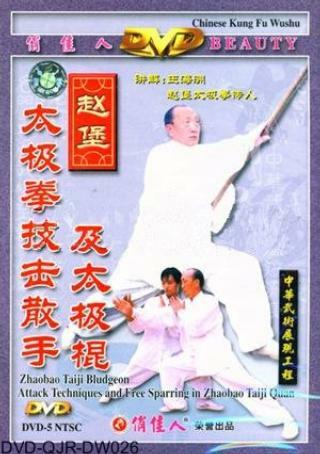 Zhaobao Taiji Sanshou is powerful & practical, and enjoys high popularity among martial arts lovers.